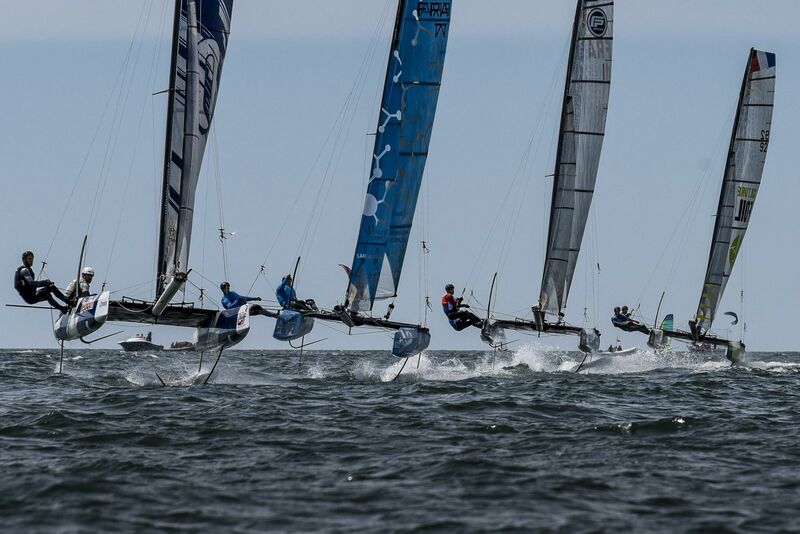 All images by Emeline Roussel / Foiling Bay 2017 - Final Day at Foiling Bay 2017, above another good video by Tiger Productions, On the FP fleet Tim Mourniac & Yves Pierre Durand won , followed by Thomas Zajac & Jason Saunders. 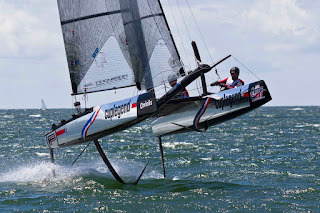 Third place for the always peforming US crew, John Tomko & Jontahan Atwood. 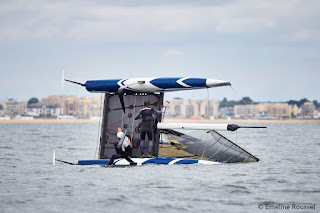 Later full report when received. 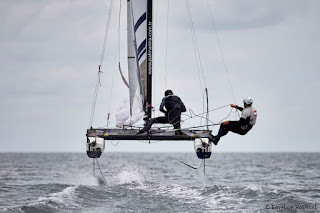 Next post a set of impressive shots by photographer Martina Barnetova. 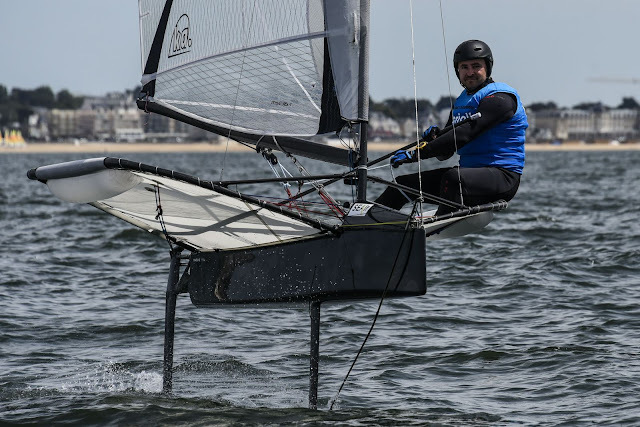 The god of wind was in a tricky mood for last day of racing but International Moth sailor Julien Villon did not get held up and went on to be crowned as the first King of The Bay 2017. 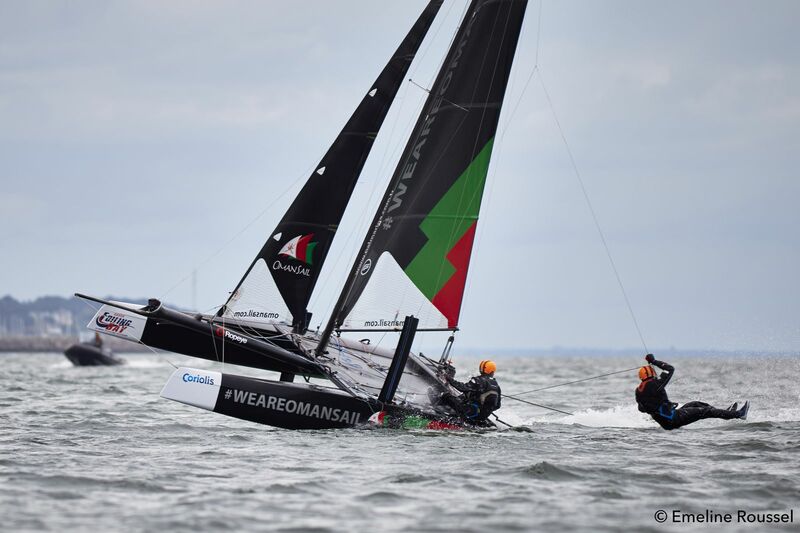 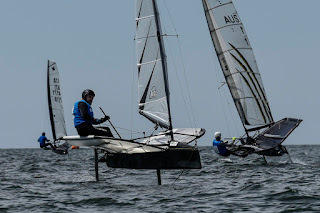 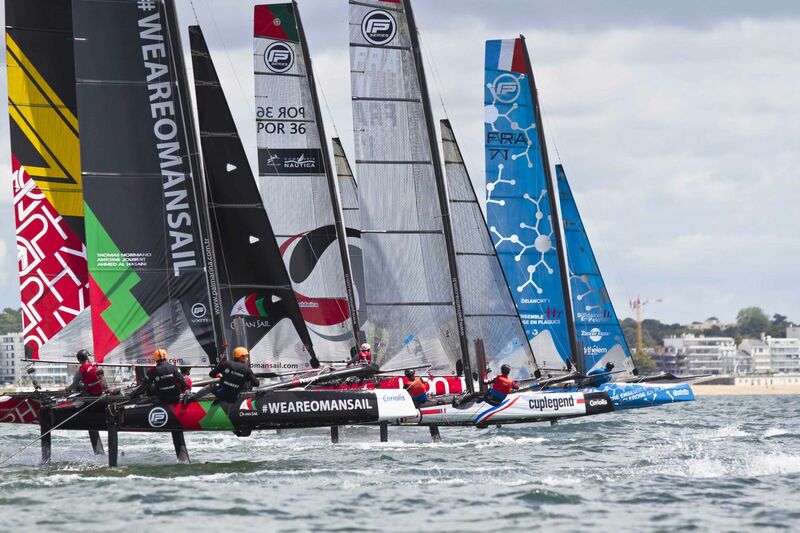 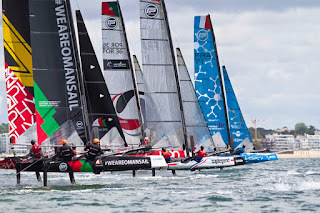 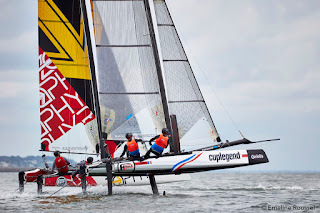 The idea behind this event, which is the first of its kind, is to gather all types of foiling boats and get them racing on the same race course. 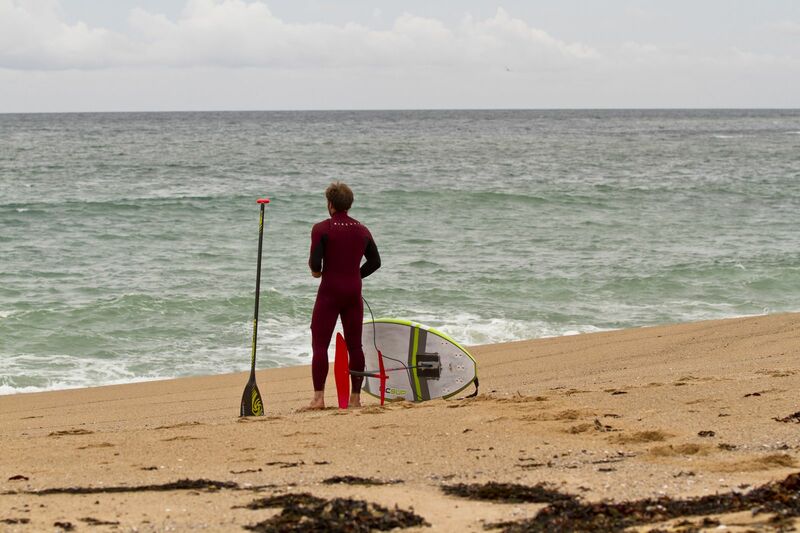 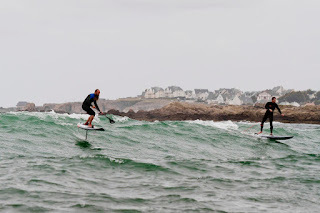 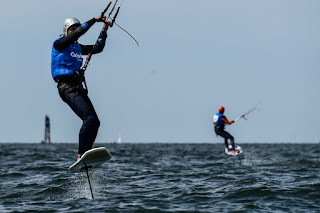 In order to qualify, Kitesurf, windsurf, Flying Phantom and Moth classes each lined up on the starting line one by one to complete the course. 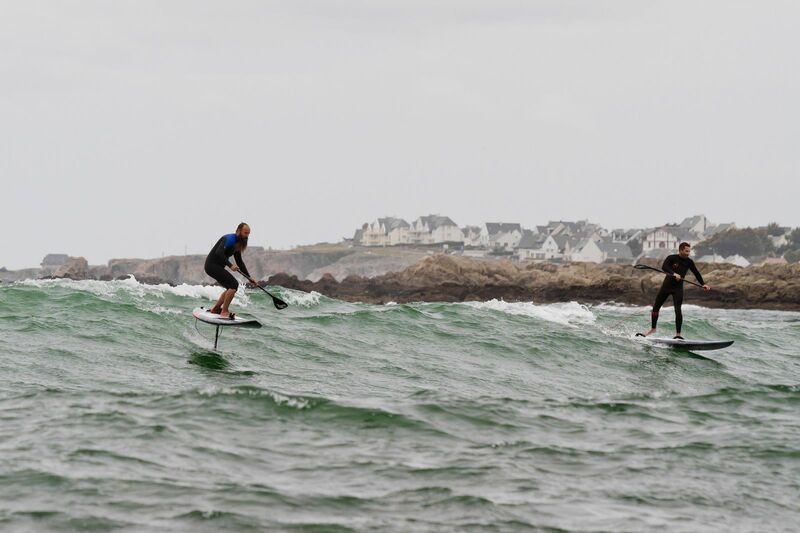 Then, each winner competed together in the big final. In quite a light breeze it was the Moth that took the lead. This type of boat is fully carbon built and only 30 kilos and so logically it was Julien Villon who went on to take a comfortable win. 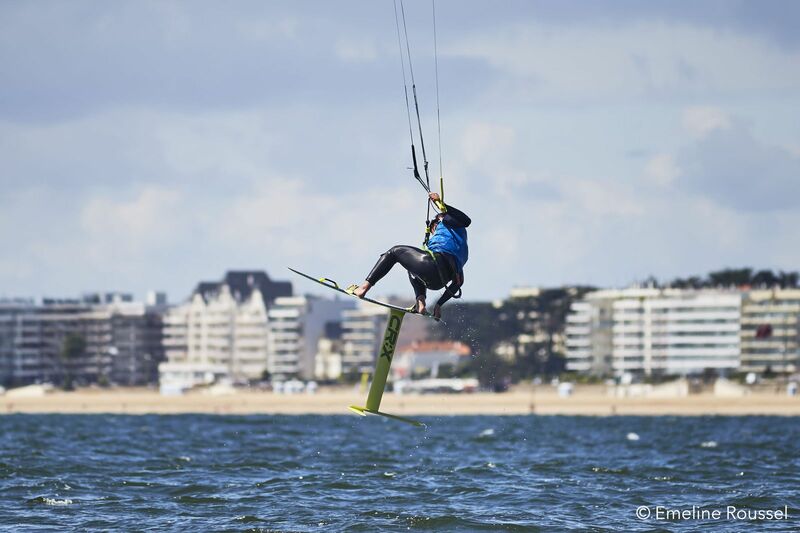 After formal validation, Kieran Leborgne (Kitesurf), Julien Villon (International Moth), Julien Bontemps (Windsurf), Tim Mourniac and Pierre-Yves Durand on Cup Legend (Flying Phantom) took the top spots. 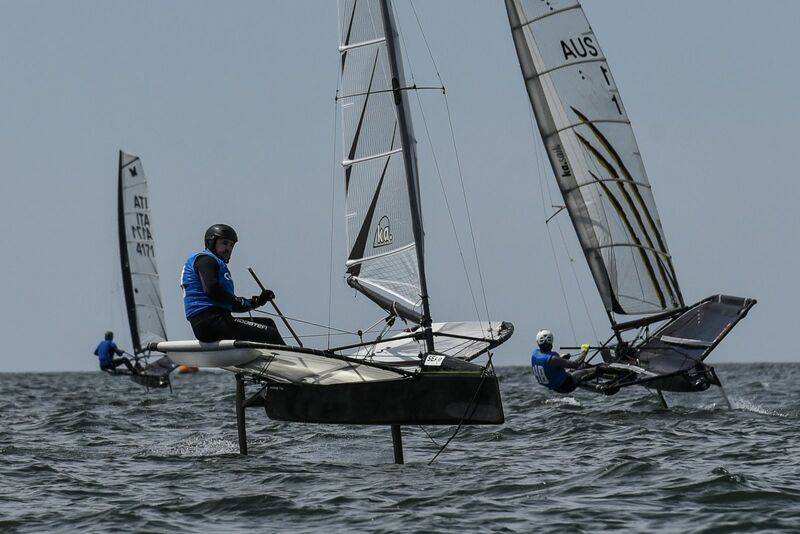 The first edition of the Foiling Bay has been a great success both in terms of the event itself and the ideal conditions, allowing 45 races to be held across all the disciplines. 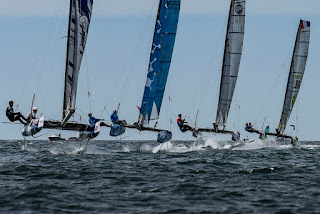 An incredible dynamic has emerged from this unique and original event. 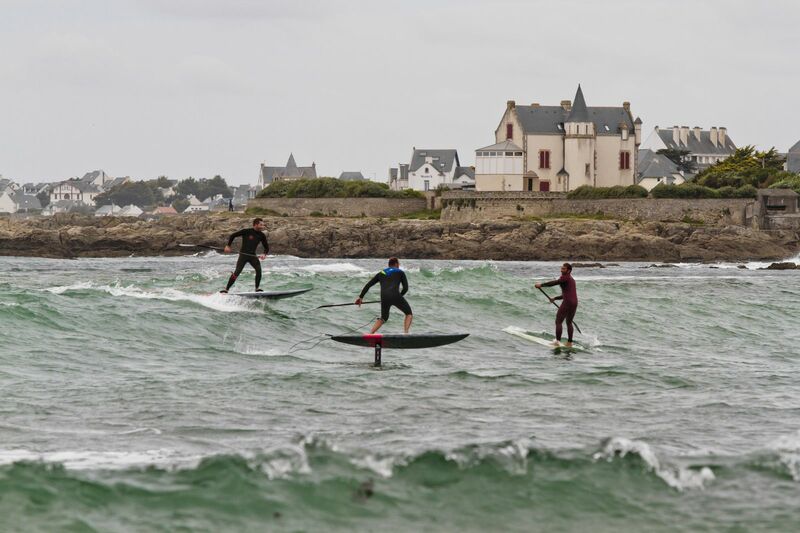 It was the perfect opportunity for the competitors to share and show their expertise, passion and to showcase the amazing foiling and flying boards and boats to the public. 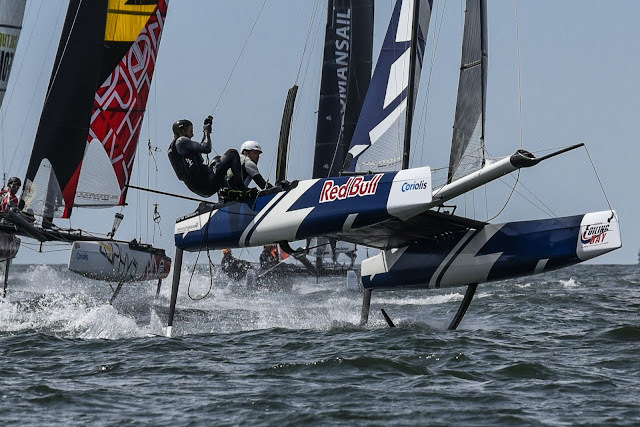 What looked like the future of sailing some years ago is now a reality. 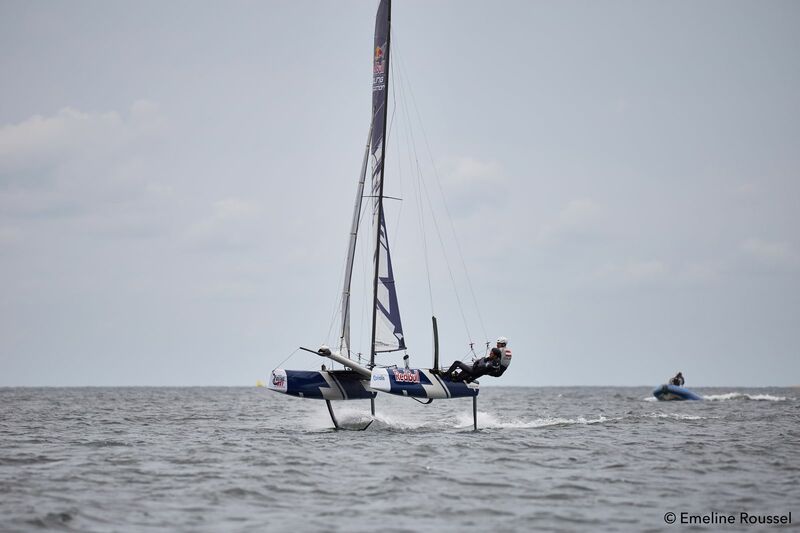 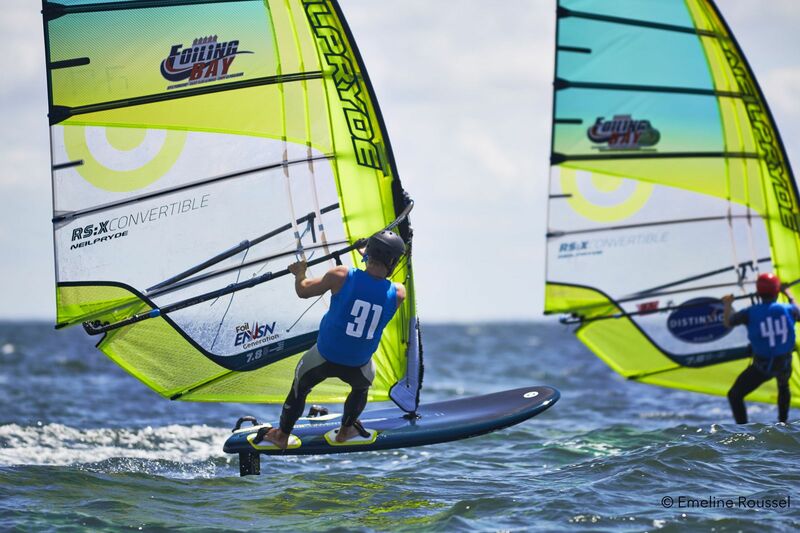 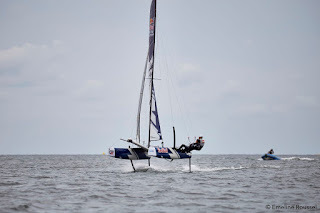 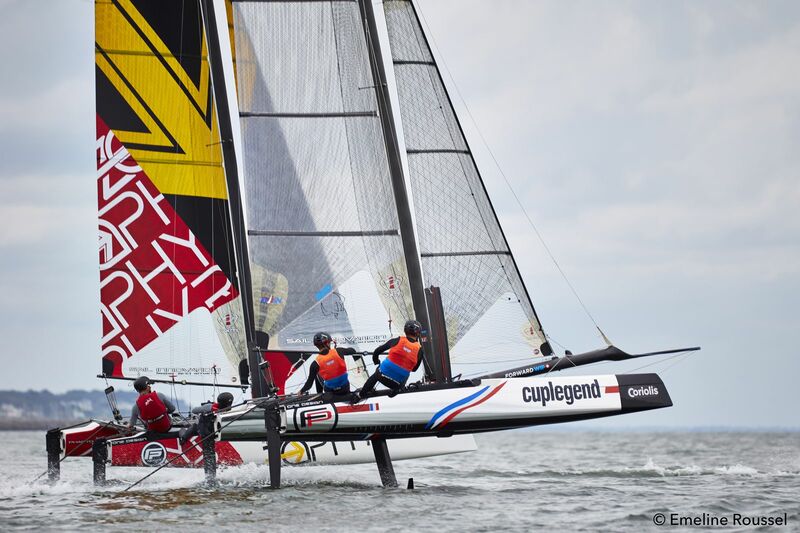 Foiling is exciting and there will be lots more fun and surprises to come in the future of the sport!